William Kraft Murray (known in different parts of the globe as Bill, Will, Liam, Mr. Bill, Wilhelm) passed away quietly at his home in Akron on January 31, 2019, one day short of his 57th birthday. William Kraft (“Liam”) Murray was born on February 1, 1962 on his family’s farm in Chillicothe, Ohio. He is survived by nine siblings and countless friends here in Akron and around the globe. He loved nature and all his life was a strong proponent of caring for the earth in very concrete ways. As a teen he walked or rode his bicycle and avoided getting a driver’s license until well after his friends. His love of bicycling as a primary mode of transport continued until a few months before his death. When he traveled longer distances he would almost always include buses or trains for part of the journey. He reduced, reused and recycled and had a lifelong commitment to living simply. He will long be remembered for his New Year’s gift to many of us of recycled calendars. He devoted time and energy to social justice and initiatives to make the world more egalitarian. He traveled widely, working in forestry in the Northwest, teaching English and introducing baseball to students in Leipzig in the then East Germany, helping build a library in Ghana, inspecting orange trees in Florida. 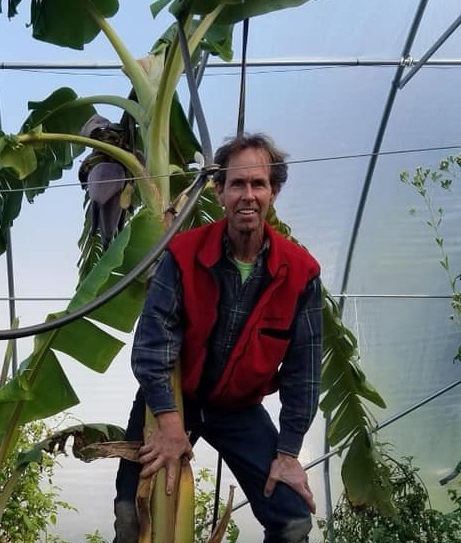 He was well educated receiving his undergraduate degree from Evergreen State University and a Master’s in plant pathology from West Virginia University. He never registered for the draft and so of course he could not apply for financial aid for this education. His time in Akron over the past 30 years (with side trips to Florida, West Virginia, and North Dakota for extended sabbaticals and new relationships) was anchored by his work in sustainable agriculture, with the National Park, the cycling community, and the hospitality of the Catholic Worker here. This circle of interests allowed him to share and connect together different local communities and people. Bill was a quiet spoken man, a dedicated letter writer and more recently an email and texting aficionado. His life exemplified his beliefs. Bill lived a quiet and humble life yet leaves a huge footprint on this earth, especially here in Akron. He was loved and treasured by folks from all walks here, many of whom spent several hours with him in these final weeks. Our family took turns being with him here full time in the final month when he needed a lot of support. We count ourselves most fortunate to be a family who ALL willingly participated in his care. He will be missed by his family, his friends around the world, and his community here in Akron. In lieu of flowers, please consider contributions to Liam’s beloved local community.